Broerman & Sons Heating & Air Conditioning is proud to serve the Chandler community! 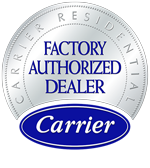 About Chandler, IN - Happy to be your hometown Heating & Air Conditioning Contractor! The Town of Chandler is located in Warrick County, Indiana, and as of 2010, approximately 2,887 residents call the town home. The town straddles Ohio and Boon Township and is part of the Evansville metropolitan area. The first post office in Chandler was opened in 1847 when Chandler was then called Lee. The town’s name was officially changed from Lee to Chandler in 1874. The town’s first underground coal mine was opened in 1875 and by the mid-1940s, all but one mine was shut down. Chandler became incorporated in 1953. Despite Chandler’s small size, there are many things to see and do in and around the town. The town hosts many community events such as the National Night Out, Chandler Celebration Days festival, Trunk or Treat, and Visits with Santa. Due to the city’s positioning along State Road 62, Chandler is in close proximity to many great attractions. The town is also positioned closely to various other Interstates and major highways that provide individuals easy access to larger cities such as St. Louis, Indianapolis, Louisville, and Nashville. Location and accessibility are not the only benefits to residents of Chandler. The town has many beautiful parks that provide individuals exciting recreational activities and also many opportunities to learn more about the town. Due to Chandler’s location in the upper-Midwest, the town experiences very cool winters and warm summers. December, January, and February tend to be the coolest months of the year. Daytime temperatures during these months vary from the low to upper-40s on average. Snow is also very common during these months. The town has an average snowfall of 12 inches. Residents of Chandler should invest in heating systems that are capable of keeping their homes warm during the cooler months of the year. Summers in Chandler are generally mild, with daytime temperatures ranging from the upper-80s to low-90s on average. It will be necessary for residents to have their cooling systems inspected by HVAC technicians to ensure they are operating efficiently, especially since record temperatures have reached well into the 100s. Having an efficient cooling system during the summer could literally be a lifesaver.